Starting today, all edits you make to companies in your landscapes will be reflected immediately. 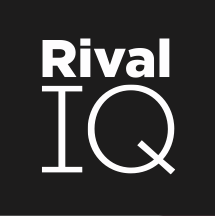 Since the early days of Rival IQ, our team of company reviewers has verified all changes to the company and social channel records we track for you. While this model of company configuration helped us ensure a high level of data accuracy, it slowed down your work. After talking with many of you, we decided to improve how this process works. Starting now, all edits you make to company records will take effect immediately, including edits to social channels (add, change, remove) and company name. The exact set of companies you track in your account belong to you and you only, so you're able to get things just how you want. Please note: as you add new companies to Rival IQ, our team will not review or edit any facet of your company records. Our bots do a nice job of finding relevant social handles, but they aren't perfect. If you think some handles might be missing from your new company records, you can add them directly using the channel edit interface in your Companies page. Like always, if you track the same company in multiple landscapes, it'll still be the same in both places - and we'll only count one company against your quota. And of course, we're always here if you need assistance getting your company records set up in just the right way for your needs.